I can’t claim any Scandinavian heritage of my own, but that doesn’t stop me from loving so much of the art, culture, design, and history from that part of the globe. Especially at Christmastime! 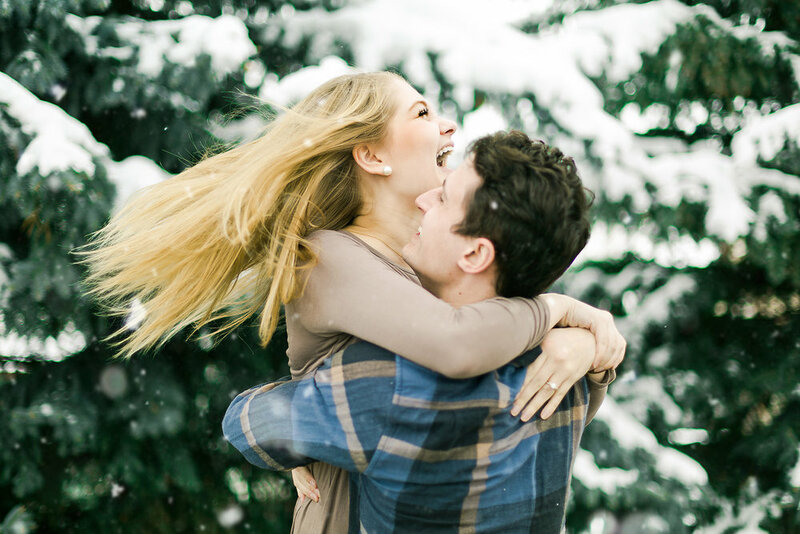 Who doesn’t love a good Scandinavian Christmas? 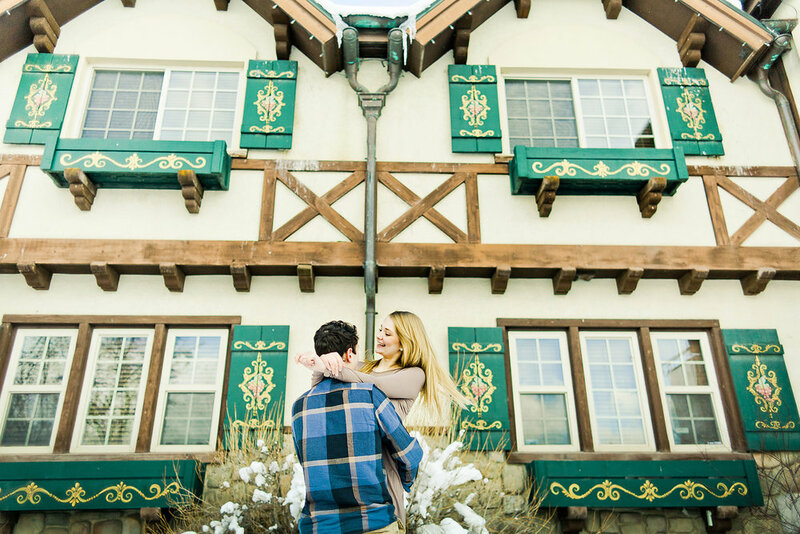 This shoot was inspired by Saint Lucia and the December 13th holiday that honors her. I MAY OR MAY NOT have first learned about this tradition from Kirsten, my Swedish immigrant American Girl Doll. Anyways. Lucia was a young girl who helped persecuted Christians in Rome around 300 AD. As they hid below in the catacombs of the city, Lucia would secretly bring food for them. 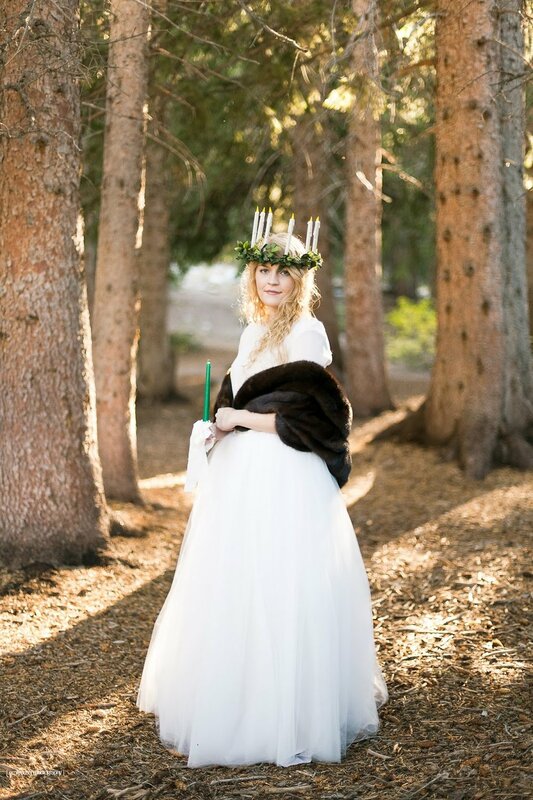 She wore candles on her head so that both of her hands would be free to carry as much as she could. Lucia was martyred for her efforts in 304 AD. 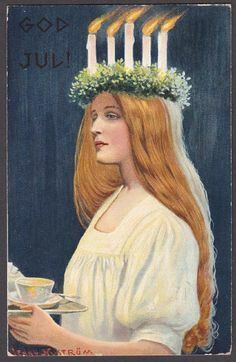 St. Lucia's Day is now celebrated by a girl wearing in a white dress with a red sash round her waist and a crown of candles on her head on December 13. This Scandinavian holiday coincides with Winter Solstice, the shortest day of the year, so her feast day has become a festival of light. 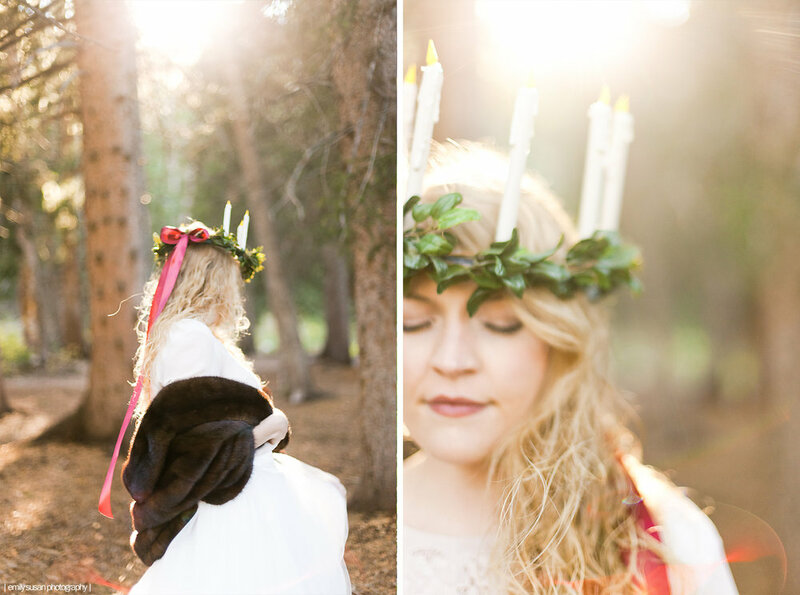 I put together this Saint Lucia inspired shoot and loved learning all about her story along the way. 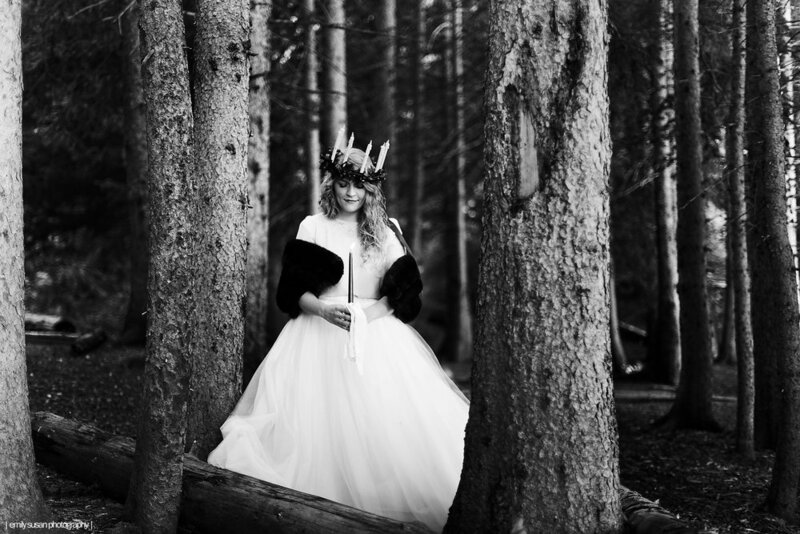 I loved spending the afternoon with my former bride, Leanna, as my Scandinavian model. When you see artistic depictions of Saint Lucia, you see why Leanna was obviously the model I picked! 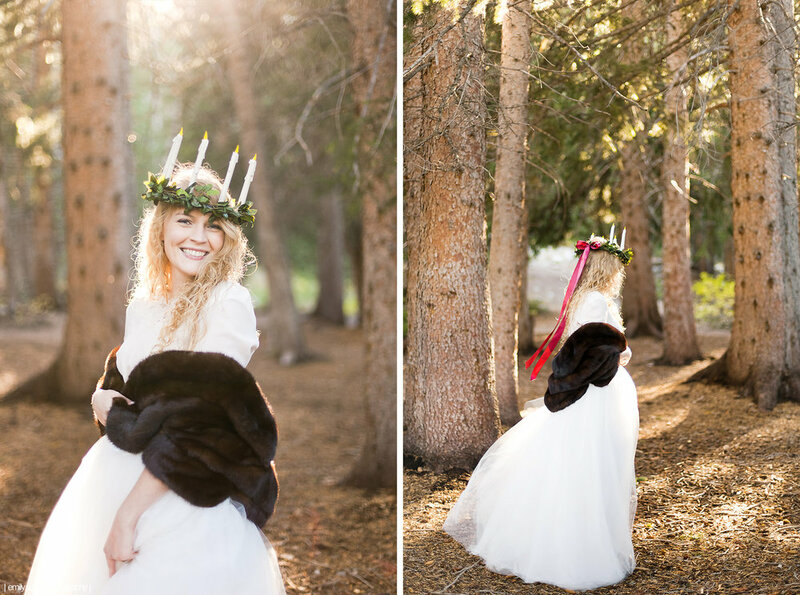 Another lovely former bride of mine, Jana, lent me her vintage stole for the shoot. 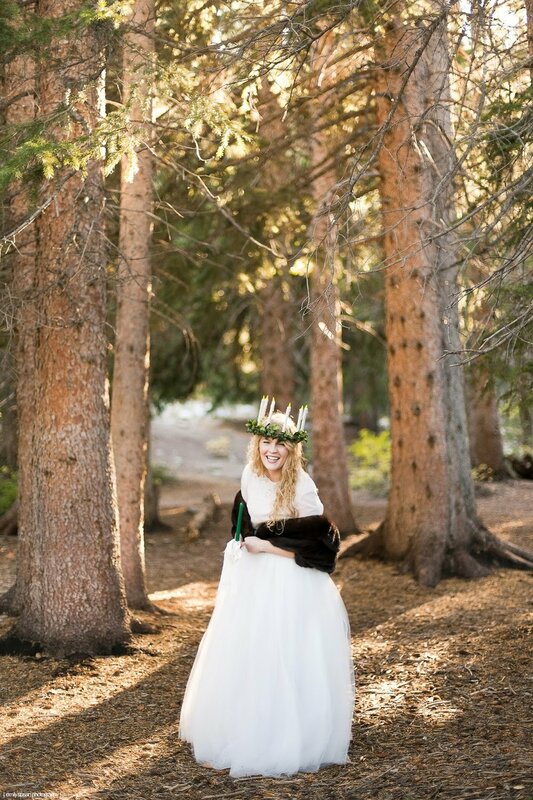 The tulle skirt was a originally a wedding dress from a thrift store (my sister and I chopped the top!). I crafted the wreath of candles and I’m actually kinda bummed I didn’t keep it to be a part of my holiday decor.